Product: Mashers Smeraldo 60ml Mini Disposable Plastic Dessert Serving Bowls – Packs of 50 was added to cart. Delight your guests with these Mini Disposable Clear Plastic Dessert Serving Bowls from Mashers’ stylish Smeraldo Collection. A modern alternative to flimsy throwaway bowls, the are made from durable clear plastic, feature a modern curved edge design, and they are available to purchase in packs of 50 or 450 to complement every special occasion. 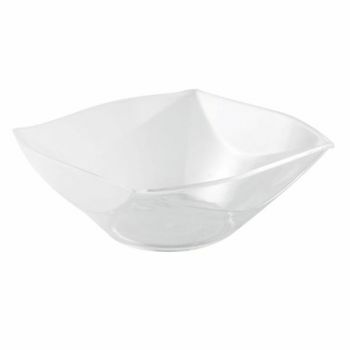 Washable and reusable, these mini disposable serving bowls are ideal for presenting hors d’oeuvres, tapas, snacks and desserts at buffets, banquets and standing events.